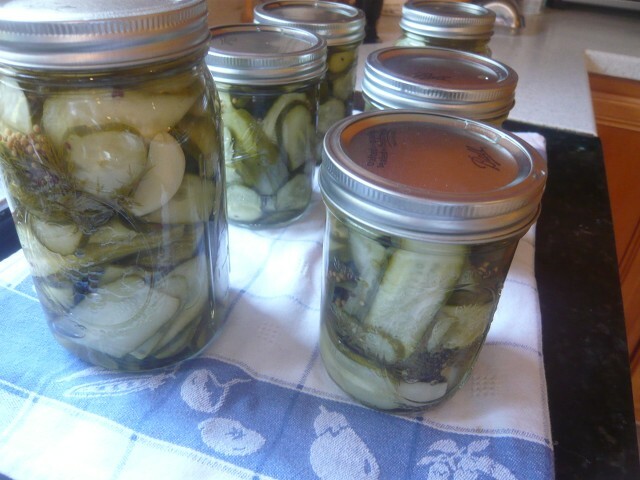 I found two tips for making crisper pickles. 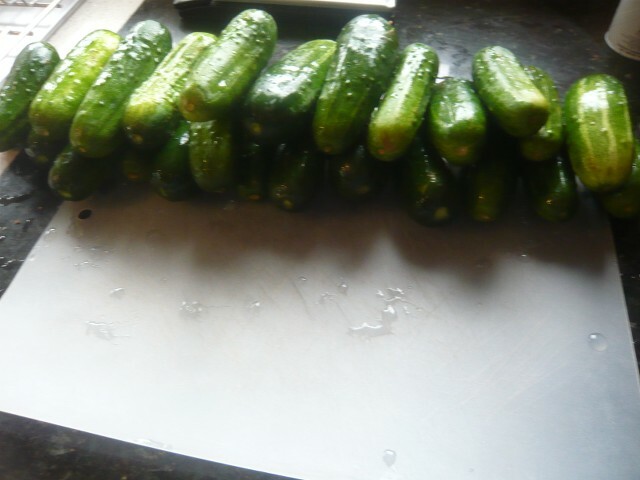 First salt cucumber slices at a rate of 1 T (15 g) per 1.25 # (567 g), allow to sit for three hours, then drain. Using 5 # (2270 g) I drained 315 g of salt and water, about 14 % loss. 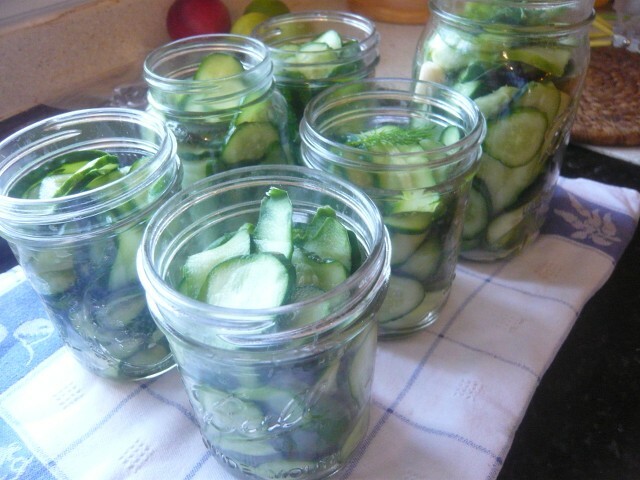 The second tip was to water bath can the pickles at 180-185 F (82-86 C) for 30 minutes. Processing at below boiling water temperatures for a longer period results in a crisper pickle that is still shelf stable. That's fantastic Paul. Regrettably, my cucumber plants have been a dead loss this year. So, I'm envious. Thanks for sharing Paul. Now for a dumb question, how do you "drain" them? We typically salt sliced veggies on towels to absorb the excess water. Are you just laying them in a sheet pan? I've got an abundance or cherry peppers to pickle and might try the 180° bath. I bought the cucumbers at the farmers market for a fair price. I don't grow them because the plants are space hogs (same with squash). I drained the cucumbers by putting them in a colander set on top of a bowl in the fridge. Good luck with the peppers and let me know how it works since I'll need to do them next year.